Stay in the shadows and be a hero with the Bumper Ninja. This bike will definitely make you stand out from the crowd with its powerful detailed graphics. It is designed with strength in mind, with a robust durable steel frame, so that it is built to last as your little one grows. With a single speed gear system, your child can focus on learning the basics with ease. 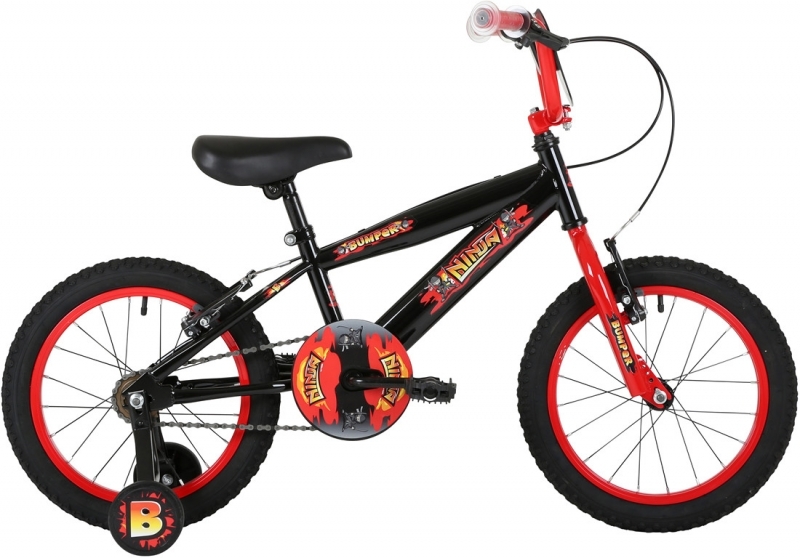 The Bumper Ninja is a bike to consider if you want a good quality, great looking bike for your child. Copyright © Buckley Cycles. All Rights Reserved.